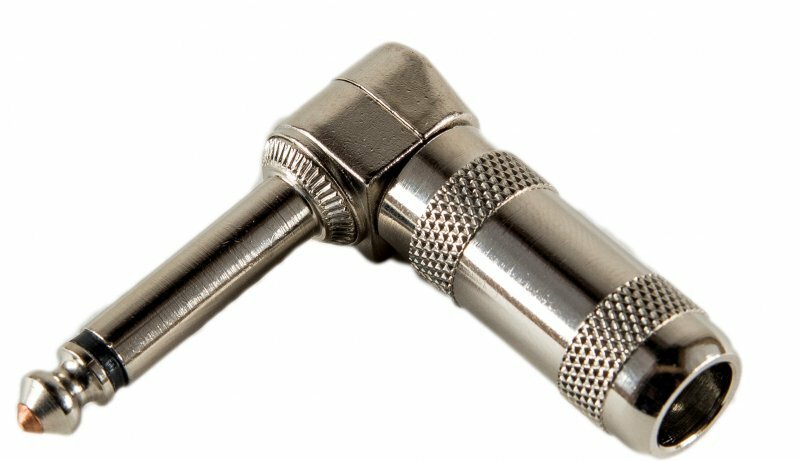 G&H - Abbatron G&H Right Angle 1/4" Plug, all Nickel • Nickel contacts with nickel housing. • Exit hole sizes: 0.300" is standard. • Optional oversized: 0.322", 0.340" or 0.375". • Custom exit hole sizes available. 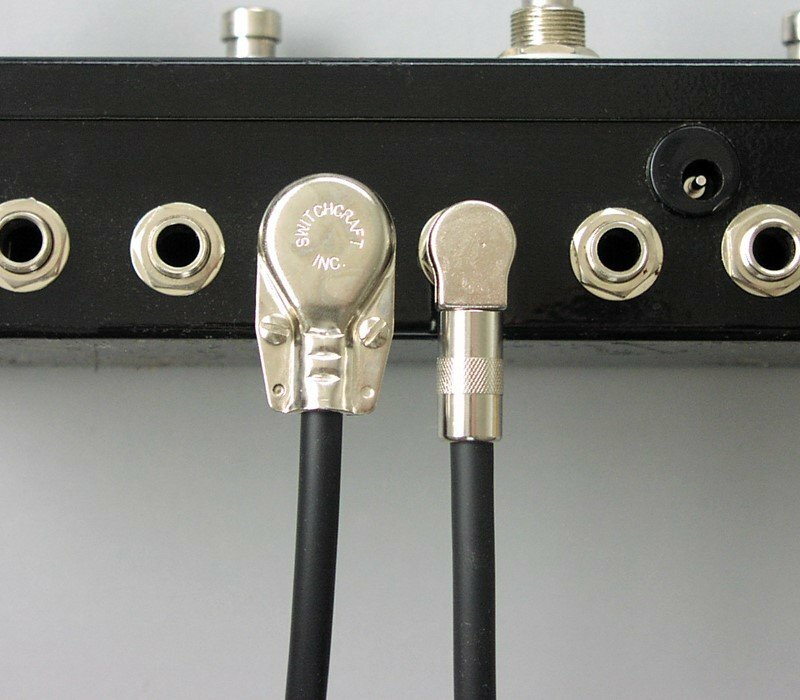 • For best shielding, keep hole small as practical for your wire, (for example 0.300" if possible). • Nickel contacts with nickel housing. • Exit hole sizes: 0.300" is standard. • Optional oversized: 0.322", 0.340" or 0.375". • Custom exit hole sizes available. 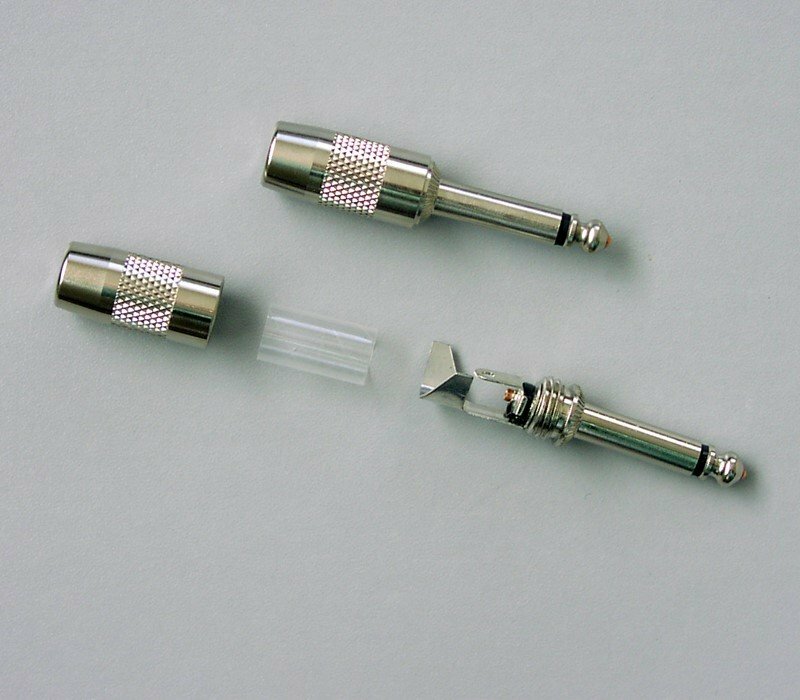 • For best shielding, keep hole small as practical for your wire, (for example 0.300" if possible). Please select your exit hole size. A one-time price of $2.65 will be added to your order. The first 1/2” profile right angle plug. Like the BF2P series the RF2P delivers a clean tone in a roadworthy package that spares you the embarrassment, time, and cost of having to make repairs to your audio system at an inopportune time due to plug failure. That's lasting value. 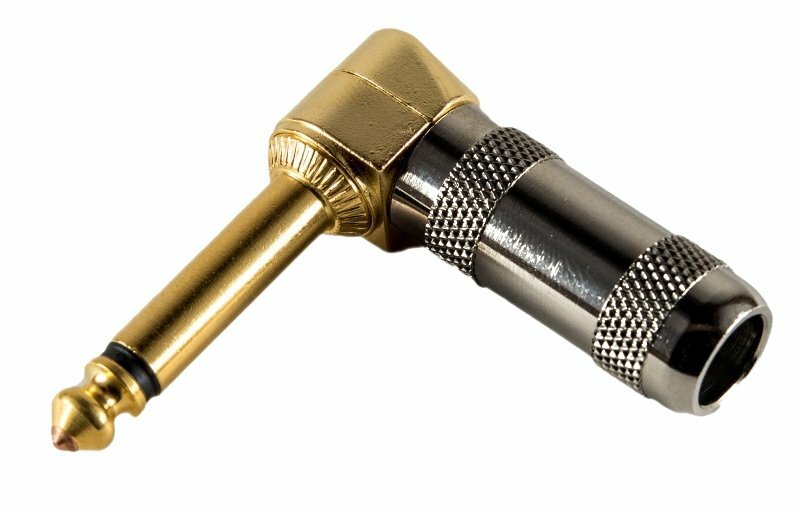 The original Bigfoot Series Standard 1/4" Connector plugs will spare you the embarrassment, time and cost of having to make repairs to your audio system at an inopportune time (or any time) due to plug failure. That translates into lasting value. You can be assured of may years of fail-safe operation. 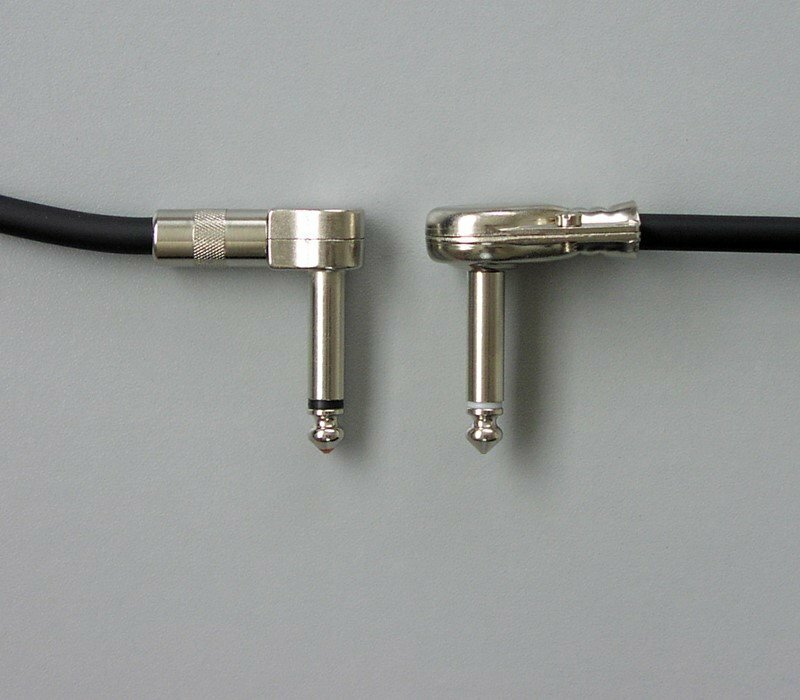 Standard 1/4 Connectors are available in 2 and 3 conductor versions, has an inner assembly that is press fit and staked into place before assembly, ensuring mechanical and electrical integrity for years. 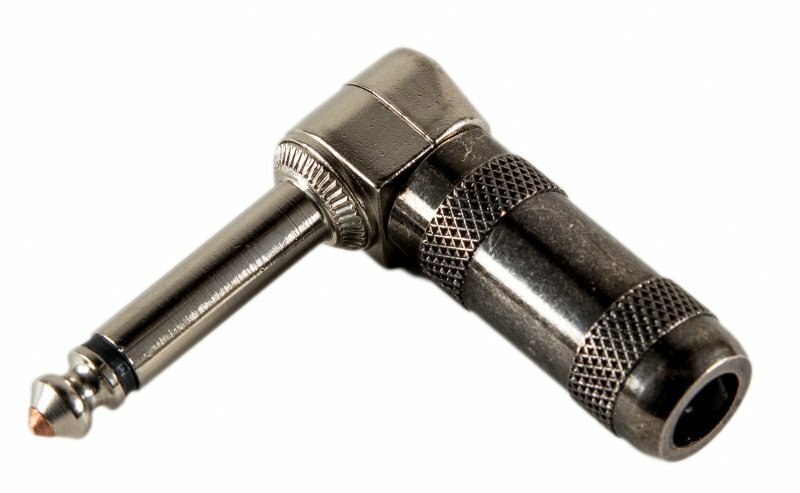 These plugs use nylon insulators that are moldable, consistent, and more dimensionally stable, as well as a filleted area between the shaft and nut portions of the sleeve, so stress is distributed over a larger area of the assembly. Our plugs have a copper tip/conductor that not only provides the maximum in conductivity, but also is stretchable and can be bent back into its original shape, with NO loss of performance. • Very low profile plug - The lowest profile in the industry! • Nickel contacts and housing. • Exit hole size: 0.280"
• Nickel contacts with black housing. • Gold contacts with black housing. • Optional oversized: 0.322", 0.340" or 0.375"